According to the season, we will go to the Poroy train station or Ollantaytambo train station, where we will depart by train to visit one of the New 7 Wonders of the World. We arrive at the Aguas Calientes station where our staff will assist us on boarding the bus to go up the winding road to Machu Picchu, amid a spectacular view of the Urubamba River and its canyon. 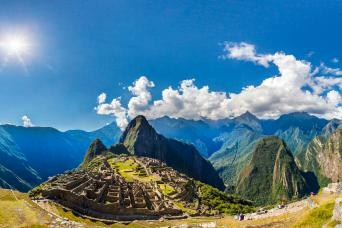 The Lost City of the Incas, Machu Picchu, will astonish us with its terraces, ceremonial shrines, steps and urban areas. Energy is all around us. After a guided visit, we will have lunch at one of the restaurants in the area. 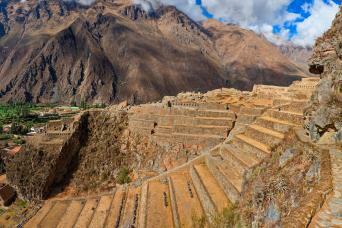 At the arranged time, we will return to Cusco and will be transferred to the hotel. A morning trip to visit the “people of the lake”. 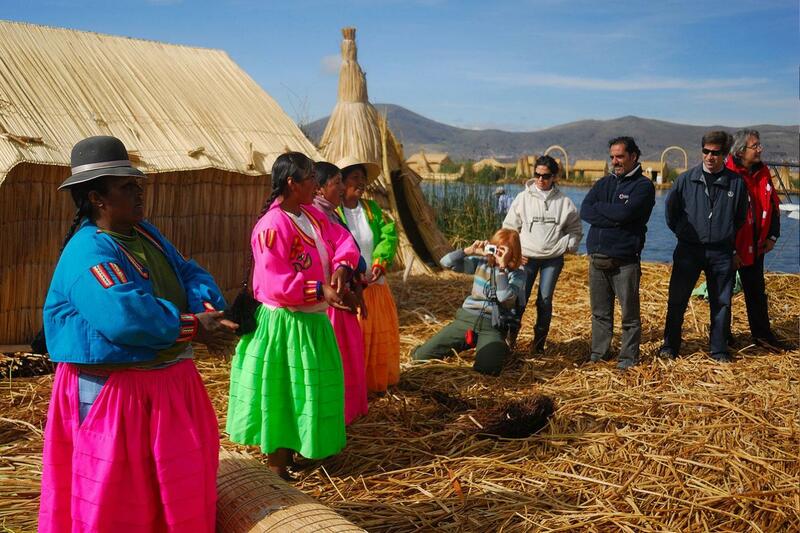 A visit to the Uros’ handmade islands and their inhabitants who will welcome us to their peculiar life style. It is hard to believe but these friendly locals live, get an education and make a living on these floating islands. In the afternoon we will visit the pre-Inca cemetery of the Hatun Colla chiefs in Sillustani, on the shore of Lake Umayo. A great trip to see the funerary towers or Chullpas reaching up to six meters high. 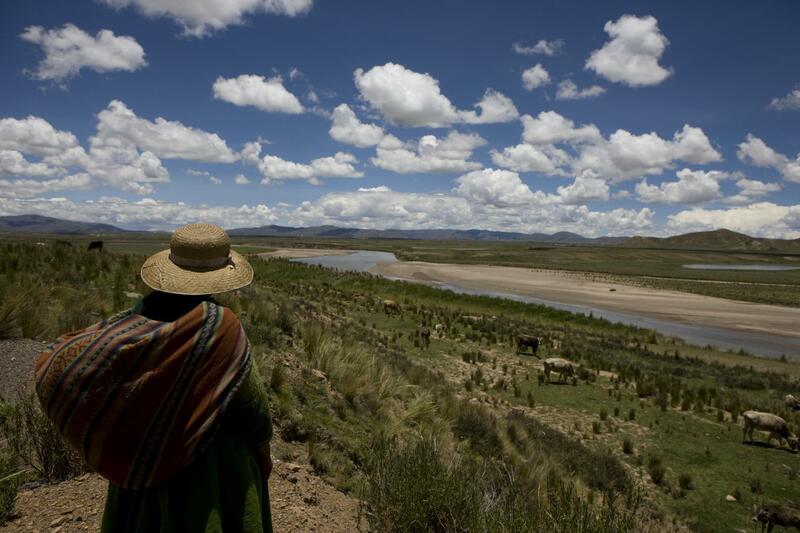 Stay at Puno. Early land transfer to Copacabana Sanctuary. Visit to Copacabana. 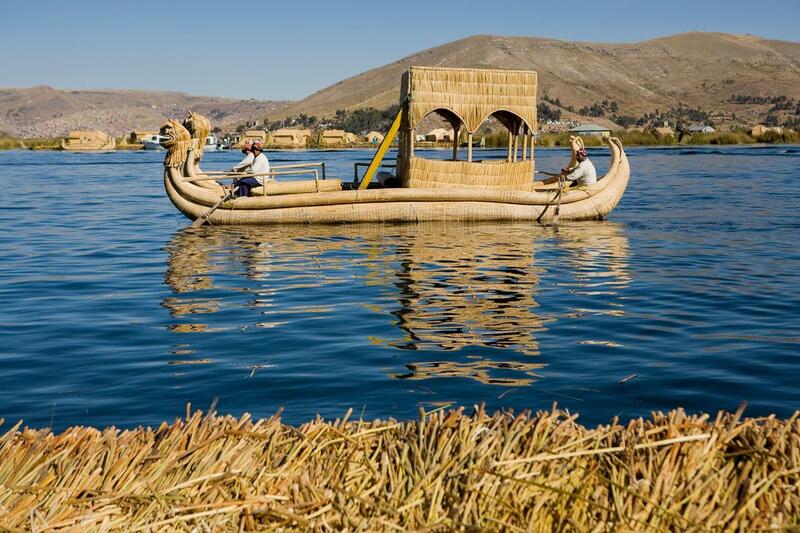 Board the Catamaran Cruise Ship, snack on board while sailing to Sun Island, the legendary birthplace of the Inca Empire. Visit the Inca Garden, steps and fountain followed by the Inti Wata Cultural Complex including the Ekako Underground Museum, the traditional medicine and the Titikaka Reed Shipbuilders display centers, the Pachamama agricultural Inca terraces, a handicraft center, the Intica lounge and at the Manco Kapac look out the largest variety of Andean camelids. Also, the Inti Wata Complex at Sun Island includes a unique sailing experience aboard a huge Titikaka traditional vessel for a panoramic visit to the Pilkokaina Inca Palace. Buffet lunch on board while sailing on Lake Titicaca. Transfer to La Paz. In the morning it is time for our city tour which begins in the typical Witches’ Market, then is off to the Colonial San Francisco Church and the Murillo Plaza in which we will find the Metropolitan Cathedral, the Government Palace and the Parliament. Then we will walk around the famous Jaen Street where the most important museums of La Paz are located, to later move to different directions like the residential areas of Obrajes, Calacoto and la Florida to end our tour in the spectacular Valley of the Moon. 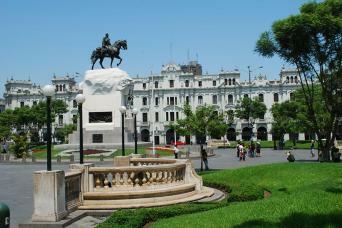 Free afternoon to discover the city.